Closing– the execution of legal documents of conveyance and loan paperwork to transfer and/or mortgage a property. The parties meet at the closing attorney’s or title company’s office. The closing attorney or settlement agent executes the closing documents, collects funds, and disburses proceeds. Commission– the fees paid to the real estate agents who represent the buyer and seller. Typically, the amount of commission and the party responsible for paying the commission are outlined in the Listing Agreement, in the sales contract, and/or in a separate commission agreement. Commissions are generally calculated based on a percentage of the sales price. Commissions are reflected on the HUD-1 Settlement Statement. Contract– the instrument memorializing the agreement between a buyer and seller to purchase and sell real property. The contract contains all material terms relevant to the transaction: sales price; property description; amount of earnest money; who is paying closing costs and how much; closing date; and items to be completed at or before closing, e.g. repairs, etc. Deed of Trust– In some states, the mortgage is called a Deed of Trust. The Deed of Trust is the instrument which is recorded at the county courthouse to secure the property as collateral for the loan . Earnest Money– Upon making an offer to purchase real estate, a buyer will generally deposit a sum of money to the seller as a demonstration of the buyer’s good faith intention to purchase the property; this deposit is generally refunded to the buyer at closing on the settlement statement. The contract generally spells out specific guidelines for who shall hold the earnest money and how it should be handled in the event of default on the contract. Escrows– an account maintained by the lender on behalf of the borrower for the payment of annual taxes and insurance. Borrowers pay 1/12 of the amount due for taxes and insurance into the account with each monthly payment, and the lender disburses the full annual payments to the taxing authority and insurance company when each becomes due. Hazard Insurance– also known as “homeowner’s insurance,” hazard insurance insures a home against liability and loss due to fire, wind, vandalism and other damage. Hazard insurance is generally required by lenders as a condition of the loan. Homeowners Association Dues– assessments charged by a Homeowners’ Association to the individual homeowner which are generally used to maintain common areas of the subdivision. Promissory Note– the instrument signed by a borrower wherein the borrower promises to repay, on demand or at some time fixed in the future, a sum of money to a lender or holder of the promissory note. This document outlines the terms of the loan including the principal amount, interest rate, term, late payment penalty, and prepayment penalty, if any. Property Taxes– taxes paid to the city and/or county based upon the assessed value of the property. Inquire with the specific city and county for the computation rates. Security Deed– In Georgia, a mortgage is called a Security Deed. The Security Deed is the instrument which is recorded at the county courthouse to secure the property as collateral for the loan. Settlement Statement– document developed by the United States Department of Housing and Urban Development which itemizes all fees and services associated with closing the loan. Survey– A survey is a drawing prepared by a registered land surveyor, after a physical inspection, that depicts the property boundary lines, size and improvements, as well as setback lines, easements and encroachments. Specialty surveys also exist which show topography and water flow, the elevation of any structures on the property in relation to the maximum 100 year flood zone, and the location of any septic and drain lines. For more information on surveys, click here . Tax Stamps– the taxes paid to the State on the transfers memorialized by the deed of conveyance and the mortgage deed. Generally, state tax stamps are calculated on the deed of conveyance based on the sales price, and tax stamps are calculated on the mortgage deed based on the loan amount. Formulas vary from state to state. Termite Letter– A termite letter is an inspection report which shows the existence of active or previous infestation of subterranean termites and other wood destroying organisms. The inspection report is a standard state form which reveals whether there is any earth-to-wood contact on the property, if there were any areas of the structure that were not inspected, and if it appears that any previous termite treatment has been performed. The inspection letter often contains exclusions of liability printed on the back. Title Exam– an examination of the public records in the county where the property is located. The title examiner reviews the history of the title, or the “back chain” to ensure the seller owns the property, and to determine if there are any mortgages, taxes or liens on the property that will require payment at closing. Each previous owner of the property is a link in the chain of title. Title Insurance– Title insurance protects the insured from claims regarding ownership of the property, liens against the property and marketability of title to the property. Title insurance company offer two types of policies; the mortgagee policy protects the lender, and the owner’s policy protects the buyer. Warranty Deed– the instrument which transfers ownership interest in the property from the seller to the buyer and which contains assurances as to the marketability of the title to the property. 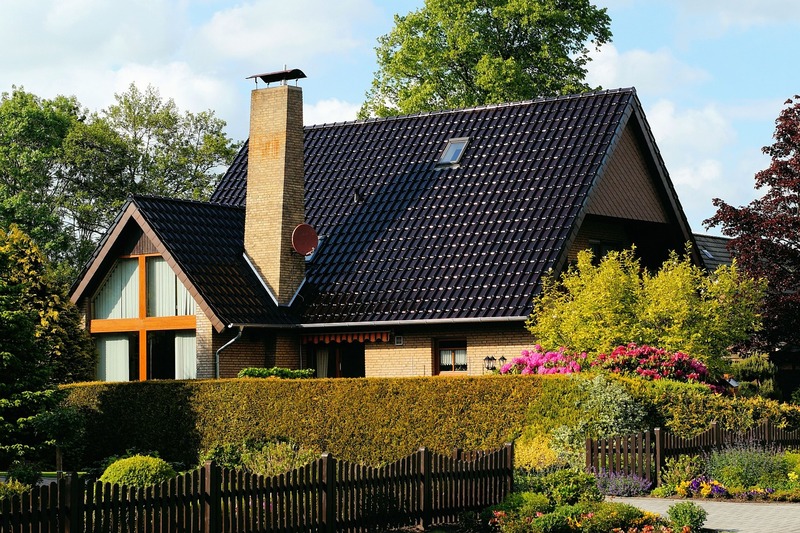 Title insurance protects the insured from claims regarding ownership of the property, liens against the property, and marketability of title to the property. Title insurance companies offer two types of policies; the mortgagee policy protects the lender, and the owner’s policy protects the buyer. According to the mortgagee policy, when a claim results in a total loss of title, the title insurance company buys the existing mortgage loan from the lender. This lender is, therefore, compensated for its loss, and the title insurance company, in turn, becomes the new holder of the loan. The mortgagee policy protects only the lender and does not afford any protection to the buyer. An uninsured buyer would still be responsible for repaying the mortgage to the title insurance company, despite the fact that he no longer actually owns the property. The uninsured buyer would also lose any equity he may have in the house. A buyer must obtain an owner’s policy of title insurance in order to be protected in the event of a title claim. The owner’s policy insures the buyer against loss resulting from a title claim and typically includes reimbursement to the buyer for court costs and attorney fees associated with the claim. Title insurance is a one-time premium, and the policy is written by the closing attorney or settlement agent. Title insurance is typically a line-item charge on the settlement statement. Southern Capital Title strongly recommends that every buyer purchases an owner’s policy of title insurance. An escrow account contains funds held by a lender for future payment of property taxes and applicable insurance, such as homeowner/hazard insurance, flood insurance, and/or mortgage insurance Private Mortgage Insurance. Lenders utilize escrow accounts to ensure that the loan collateral is protected from losses resulting from tax sales for unpaid taxes or lack of insurance coverage due to unpaid premiums. At closing, taxes for the current year are pro-rated, and the buyer pays up-front for a homeowners insurance policy for one year. The closing attorney or settlement agent establishes the escrow account on behalf of the lender to pay future tax bills and insurance renewals. The lender does not pay interest on the funds held in escrow, and the lender does not charge a fee to manage the account. Lenders analyze the escrow account annually to prevent holding too much money, and the amount a borrower pays into the account each month can change to avoid accumulating overages or shortages. The lender will generally calculate the tax escrow based on the tax bill used for prorations at closing. Sometimes, however, the tax assessment used for proration purposes is obviously much lower than future tax assessments will be – for example, cases where prorated taxes were based on unimproved property, or prorated taxes were calculated with exemptions no longer applicable for the new buyer. In such cases, the closing agent will calculate an estimated future tax bill based on formulas set forth by the taxing authority. The estimated future tax amount is then used to establish the escrow account. Insurance escrows are based upon the known guaranteed renewal premium. If a renewal premium is not known or guaranteed, the escrows will be based on the annual premiums for the current year. At closing, the settlement agent makes an initial deposit into the escrow account to set it up. The borrower then continues to make ongoing monthly deposits into the account with each monthly mortgage payment. When taxes or insurance renewal premiums become due, the account will pay out these items, and a cushion remains in the account going forward. Many properties are located in areas that are subject to protective covenants. Protective covenants outline rules and restrictions for the neighborhood or development. The goal of the covenants is to protect the integrity of the neighborhood and to preserve property values. Covenants are generally recorded at the county courthouse, and everyone who buys property in the neighborhood after the covenants are recorded is subject to the covenants. Developers or neighbors often form homeowners associations to further the goals set out in the covenants, to collect dues from the property owners, to maintain common areas, and to enforce rules and regulations. At closing, unpaid association dues from previous years are the responsibility of the seller. Association dues for the current year are prorated between the buyer and seller. Future dues are the responsibility of the buyer, and future dues are not typically held by the lender in an escrow account. Private Mortgage Insurance (PMI) is an insurance policy that protects the lender in the event that the borrower defaults on the loan. Lenders generally require PMI on loans where the loan to value ratio exceeds 80%, or, in other words, the buyer’s down payment on the loan is less that 20%. In the event of foreclosure, the PMI company compensates the lender for certain losses incurred. PMI insurance offers no protection to the buyer. The PMI premium is generally tacked onto the borrowers monthly mortgage payment. In obtaining an FHA loan, borrowers pay for an upfront mortgage insurance premium (MIP) which is itemized on the settlement statement at closing. Borrowers obtaining VA loans will not pay PMI or MIP; however, the Department of Veterans Affairs charges a similar VA Funding Fee which is also itemized on the settlement statement. * Please Note: Powers-of-Attorney must be pre-approved by title company, lender and attorney. ** Invoices must be pre-approved by lender. Promissory Note: outlines the material terms of the loan including interest rate, term, maturity date, principal and interest payment amount, late penalty and prepayment penalty. Mortgage: (a/k/a Security Deed, Deed to Secure Debt, Deed of Trust, Trust Deed, depending on the state in which the property is located) – secures the property as collateral for the loan. other matters specific to the particular transaction. Disclosure of information relating to lender’s history of transferring/selling loans. Loan Application – standard form which reflects the income, assets, debts and other pertinent information used to qualify borrower for the loan. IRS form W-9 – verifies the borrower’s social security number for the reporting of payment of interest to the IRS. IRS forms 4506 and/or 8821 – authorizes the lender to obtain information from the IRS to verify information on application form. First payment letter – shows total payment amount, date of first payment and information regarding where to remit payment. Quit-Claim Deed – contains no warranties as to title. Q. Who will check the title to my new property? Depending on which SCTC office you close in, we will order your search from one of our third-party vendors. Subsequently, an attorney or settlement agent will examine your title and will clear your title prior to closing. At the time of loan application the loan officer will give you a Good Faith Estimate of costs. Please plan to bring certified funds for the amount showing due on your Good Faith Estimate. In the alternative, your real estate agent or loan officer may contact you when they receive our HUD-1 Settlement Statement for your closing with a final figure. No. The law does not permit a closing attorney or title company to accept a personal check. You will need to bring certified funds from your financial institution to your closing. Q. What other information do I need to bring to the closing? Please refer to our Buyer’s Closing Checklist or Seller’s Closing Checklist. All parties to the loan and all persons listed on title to the property must be present at closing. Often, real estate agents and loan officers attend closing as well. You will receive a copy of each document that you sign at closing. This document folder should be placed in your safety deposit box. Q. How long will I be in the closing? A closing generally takes about an hour. At SCTC, we close your loan in a friendly, relaxed atmosphere with experienced real estate attorneys or settlement agents to explain the closing documents. Property owners are obligated to pay city, county, and/or state ad valorem taxes. Nonpayment of such taxes will result in a lien on the property. The county tax assessor periodically determines the value of the property, and taxes are assessed on the appraised value of the property. Depending on the city, county and/or state in which the property is situated, there may be exemptions for which the property owner can apply which reduce the tax bill. At closing, the seller is responsible for paying delinquent property taxes for previous years. Taxes for the current year are prorated between the buyer and seller on the settlement statement. Generally, the lender requires the closing attorney or settlement agent to establish an escrow account to pay taxes for future years. In calculating taxes for closing, the attorney or settlement agent will base prorations upon the current year’s tax bill. If the tax bill for the current year has not been issued, the proration of taxes will typically be based upon the previous year’s tax bill. The amount of the charge to one party and the credit to the other is determined by dividing the annual tax bill by 365 (for the daily amount) and then multiplying that amount by the number of days before closing (for the seller) and after closing (for the buyer). In closings involving new construction, the current tax bill may be dramatically less than future tax bills are expected to be. This happens because the most recent tax assessment was likely based on unimproved property. The tax assessor will eventually reassess the property and base taxes on the improvements. In such cases, the closing attorney or settlement agent will use the current lower tax bill for prorations between the buyer and seller, and the attorney will use an estimated future tax amount to establish the escrow account. A survey is a drawing prepared by a registered land surveyor, after a physical inspection, that depicts the property boundary lines, size and improvements, as well as set-back lines, easements and encroachments. Specialty surveys also exist which show topography and water flow, the elevation of any structures on a property in relation to the maximum 100-year flood zone, and the location of any septic and drain lines. In preparing a survey, surveyors begin at a fixed point and trace the border of the property using a metes and bounds description. A metes and bounds description is comprised of numerical distances measured in degrees, minutes and seconds combined with a directional calls, such as Northeast or Southwest. Surveys used to be a common lender requirement for closing. Nowadays, lenders rarely require a survey. Even though no longer required by lenders, obtaining a survey is still advisable. Purchasers need a survey to become aware of any encroachment or violation that currently exists on the property. Additionally, in order to make certain improvements to the property, such as a fence or swimming pool, a buyer will need to be aware of existing setback lines and easements. A termite letter is an inspection report which shows the existence of active or previous infestation of subterranean termites and other wood-destroying organisms. The inspection report is a standard state form which reveals whether there is any earth-to-wood contact on the property, if there were any areas of the structure that were not inspected, and if it appears that any previous termite treatment has been performed. The inspection letter often contains exclusions of liability printed on the back. Most lenders require a termite letter dated within 30 days of the date of closing, indicating that the improvements are free from active infestation and damage. Depending on the type of loan, lenders may have heightened requirements concerning the termite letter. As soon as the termite inspection is performed, the buyer should ensure that his lender receives a copy of the report. Some states do not require that a seller provide a termite letter for closing; however, the contract generally places the burden of supplying this letter on the seller. A termite bond is a contract between a property owner and a termite treatment company which addresses future termite infestations. There are two basic types of termite bonds: a retreatment bond and a repair bond. A retreatment bond obligates the termite company to retreat the property in the event that a future termite infestation is detected. A repair bond not only obligates the company to retreat the property if termites are found, but also to repair any damage caused by the infestation. Generally, a dollar amount limit for the repairs is specified in the bond.